Social Security Disability retroactive pay is the amount the Social Security Administration will pay you for the time you were eligible for benefits before filing your SSDI application. When people speak about Social Security Disability back pay, they are often actually speaking of both back pay and retroactive pay, which, while paid to recipients as if it were back pay, is actually a different category of payment. In this section we will discuss what SSDI retroactive pay actually is, how it is calculated, and how it will be paid to you. What is SSDI retroactive pay? SSDI retroactive pay is the assistance that the SSA will pay you for any eligible time that you were disabled prior to filing your SSDI application. Note that SSDI retroactive pay is different from back pay, which is is the SSDI assistance that you are entitled to from the time of your application until your monthly payments kick in. For more information on distinguishing back pay from retroactive pay, please see our article entitled “Back Pay vs. Retroactive Pay.” And for more information on back pay, see our article entitled “Back Pay Overview.” This article will focus upon retroactive pay only. What information does the Social Security Administration (SSA) use to determine my retroactive pay amount? Sometimes an applicant does not apply for SSDI right away for a variety of reasons. For example, remember that in order to be eligible for SSDI his or her disability must last for more than 12 months or expected to last for 12 months. Therefore, some applicants may wait to apply for SSDI until they are certain that their disability will last for more than 12 months. Whatever the reason, if an applicant is determined to have been eligible for benefits prior to the time of his application, he will be entitled to retroactive benefits. Calculating disability retroactive pay benefits depends upon three factors: Application Date, Disability Onset Date, and the Five Month Waiting Period. Because retroactive pay is used to compensate you for time you were eligible for SSDI benefits prior to the time you applied for SSDI, your application date is crucial in determining your retroactive pay amount, if any. Determining your application date is simple – When did you apply for SSDI? Keep this date in mind as we look to the other factors used to calculate your retroactive pay. The next step in determining whether you are entitled to SSDI retroactive pay is to determine your disability onset date. This is the date upon which you became disabled according to the SSA’s definition of “disability.” Your disability onset date will either be the date you claim to have become disabled, or the date that the SSA determined that you became disabled – which may or may not be the same date. When you complete your SSDI application, you will indicate the date upon which you became disabled. This is known as your Alleged Onset Date, or AOD. If the SSA determines that you are disabled, they will use your AOD to determine for how long you have been disabled. They will then look to your medical information and work histories to see if that information supports your AOD. Depending on this information, the SSA may or may not agree with your AOD. If the SSA agrees with your AOD, then this date is no longer just alleged to be the date that you became disabled – this date actually becomes your official Established Onset Date, or your EOD. If, on the other hand, the SSA disagrees with your AOD after reviewing your medical information and work history, then they will ignore your AOD and instead select their own date upon which they determine you to have become disabled. It is this date which is now your Established Onset Date, or EOD. The important thing to note is that while the date you allege to have become disabled on your SSDI application is important, this date will mean nothing if the SSA does not agree with you that your AOD is the date you actually became disabled. If the SSA agrees with your date and makes that your EOD, great. But if they do not agree with your AOD and instead establish their own EOD, it is this date which will be used to determine your SSDI retroactive pay amount. This last part of your SSDI retroactive pay calculation is relatively simple. Once your disability onset date has been established, you must wait five months after that date before you will become eligible for benefits. This is referred to as the 5 month waiting period, and it applies to all SSDI benefit recipients. Therefore, while you may have become disabled on date X, you won’t become eligible for benefits until date X + 5 months. This date, the X + 5 months, is referred to as your entitlement date. So, to calculate your entitlement date, you simply add 5 months to your established disability onset date, or your EOD. You use your entitlement date in order to calculate your SSDI retroactive pay. How are my application date and entitlement date used to calculate my retroactive pay? If the SSA determines that you were eligible for SSDI payments prior to the date that you actually applied for SSDI, then you will be entitled to some amount of retroactive pay up until your application date. (You will also be entitled to benefits from your application date forward – this is your back pay, and it is discussed in our article “Back Pay Overview.”) Therefore, as long as your entitlement date falls before your application date, then you will be entitled to back pay from your application date forward. What is the maximum amount of retroactive pay that I can receive? The SSA caps your retroactive pay at 12 months. In other words, you cannot become disabled and seek SSDI 5 years later and expect the SSA to pay you for all of that time. So, given the 5 month waiting period, in order to receive the maximum amount of retroactive pay you would have to have been disabled for 17 months or more before your application date. The SSA would deduct the 5 month waiting period and then pay you for 12 months of retroactive pay. Say that your EOD is January 1. You would become eligible for benefits on June 1, or 5 months later. If you applied for SSDI on December 1, then you would be entitled to retroactive from June 1 to December 1. Let’s say, however, that you applied for benefits on March 1. Although you were disabled at the time you applied for benefits, you are not eligible for benefits during this time because it falls during your 5 month waiting period. Therefore, because you did not become eligible for benefits until after your application date, you are not entitled to retroactive pay. As stated above, the most favorable position possible from a financial standpoint is to establish that your disability began 17 months or more prior to your application for SSDI. Even if you were not disabled 17 months or more before you applied for SSDI, an earlier onset date, whatever it may be, is more favorable financially than a later one. Having an attorney can help you to establish a favorable onset date in order for you to recoup as much retroactive pay as possible. 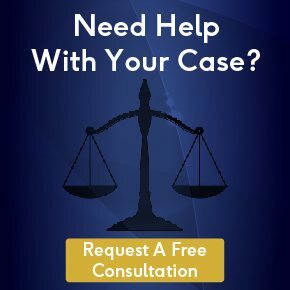 This is because a well-practiced attorney is familiar with the SSDI application process and knows what the SSA needs to see in order to agree with your alleged onset date (AOD), and can assist you with compiling the necessary information for supporting your claim. Unlike your ongoing SSDI monthly payments, your retroactive pay and back pay will be generated and issued to you in one lump sum. Obviously, any retroactive pay to which you are entitled to you will not be paid until and unless you have been approved for SSDI. And depending upon whether your case is initially approved or if you must file for an appeal, your application process can take a year or more. You should be prepared to wait at least this long before you will receive your SSDI benefits and/or retroactive pay. Once your SSDI application is approved, your retroactive pay will be calculated along with your back pay, and a lump sum for both will be issued sometime thereafter. However, the processing times vary. On average, most people wait 1-2 months before receiving their lump sum back payment. When you receive your SSDI back/retroactive pay lump sum, no federal taxes will have been withheld from it. Instead, the IRS will issue you a 1099 tax form, and they will continue to do so each year you receive SSDI. Also, assuming that your lump sum is sizeable, you might be concerned about how it will affect you for tax purposes. The IRS does not penalize SSDI recipients for receiving their SSDI back/retroactive pay all at once. Consult your tax professional on the ways in which you can claim your SSDI back/retroactive pay in order to reduce or eliminate any back taxes owed. In addition, if you chose to use an attorney when filing your SSDI application (and/or your appeal, if necessary), then the SSA will deduct any attorney fees owed from your retroactive and back pay award.